In a major policy shift, Nepal’s ruling Maoists will adopt a new path to socialism through capitalism and may also give up their anti-India stance at the upcoming national convention of the party. Some 2,500 delegates of the ruling UCPN-Maoist will attend the six-day general convention, to take place after a gap of over 20 years, starting on Saturday in central Nepal’s Hetauda Municipality in an attempt to revamp the guerrilla group-turned-mainstream political party. CPN-Maoist to unveil military wing! Though the UCPN-Maoist led government seems [satisfied at its – ed.] management of its former combatants by integrating in the Nepal Army (NA), its splinter faction CPN-Maoist has began to revive ‘people’s war’ days through the announcement of military structure of the party. The military structure of CPN-Maoist is going to be announced formally under the name of Rastirya Yuwa Swayamsewak Bureau from the national conference scheduled to be held in Dhulikhel on October 10-12. Some leaders have repeatedly been threatening that they would take up arm if their demands are not addressed. It is claimed that the military wing has already acquired about 10 dozen guns registered in the name of the UCPN-Maoist including some arms used in the security of leaders. Likewise, it is also claimed that about 1000 armed trained former PLA combatants, who opted for voluntary retirement after last year’s peace deal and disqualified fighters who were discharged from cantonments in 2010, have already reunited under the military structure of the party. Conference to expose corrupts The CPN –Maoist has said that it is going to expose leaders and cadres of the UCPN-Maoist, who amassed wealth illegally after the party joined mainstream politics in 2006. Revealing about the plan of the purposed national conference party secretary Chand had said his led wing, National People’s Volunteer Bureau, will next week start a campaign to expose the corrupts of the country including his former party’s leaders. However, Chand dismissed the report about the plan to form a military structure. The commemoration of the abortive coup blamed on the Indonesian Communist Party (PKI) is still a few months away, but former political prisoners always remember Sept. 30, 1965, as the day that changed their lives. Following the attempt, which claimed the lives of six Army generals, the Indonesian Military, with the help of mass organizations, prosecuted anyone thought to have links with the PKI. The precise number of fatalities has been disputed, but some put the number as high as 500,000. Those who survived the massacre lived with the stigma of communism and lost their civil rights. One of them, Nani Nuraini, is now 71 years old. “Even though we are now aged and frail, we still keep smiling and fighting,” said Nani, who claims she has just been fighting for her rights. At the Central Jakarta District Court in 2008, she won the right to a lifetime identity card just like any other elderly citizen. In April, however, the same court rejected her request for rehabilitation. KATHMANDU (Reuters) – Three parties quit Nepal’s Maoist-led government on Monday as the Himalayan republic slipped deeper into crisis after the prime minister called elections following the failure to agree on a new constitution aimed at ending years of instability.Prime Minister Baburam Bhattarai has called for Nov 22 elections to resolve the constitutional impasse, sparking a backlash from politicians and Nepalis who have seen the country lurch from one crisis to the next after a civil war ended in 2006. With political rivals calling for the prime minister’s resignation, the desertion of three parties from his coalition may force Bhattarai to step down, but it is not likely to derail fresh elections. However, the political row could trigger months of street protests and violence in one of the world’s poorest countries, wedged between India and China. After Peruvian Maoist leader Gonzalo was captured, in time he sang a different tune of surrender, and denounced the Peoples War--winning him praise from reactionaries. 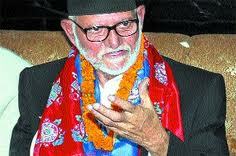 POKHARA, Jan 7: Nepali Congress (NC) President Sushil Koirala on Saturday has urged the UCPN (Maoist) to follow Peruvian revolutionary leader Gonzalo´s advice to renounce violence and adopt peaceful politics. Speaking at a function in Pokhara, President Koirala urged the Maoists not to go against the democratic system and derail the peace process. He urged the Maoists to adopt the path of peace and constitution to bring about prosperity in the country. “Even Peruvian revolutionary leader Gonzalo, who orchestrated the killing of about 70,000 people the guerilla war popularly known as ´Shining Path´, has asked the Maoists to adopt the path of peace. Maoists should follow the path of peace,” he said. 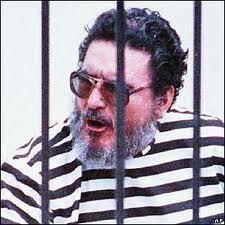 Gonzalo, who is currently serving a jail term, had reportedly sent a letter to the UCPN (Maoist) through his aides. “The leader who led once of the greatest armed rebellion also acknowledged the importance of peaceful means. The Maoists should also acknowledge the fact,” he further said.